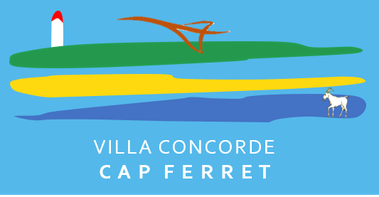 The Villa Concorde - bonnafys Webseite! From the street, there is a small and steep stairway leading up to the garden. 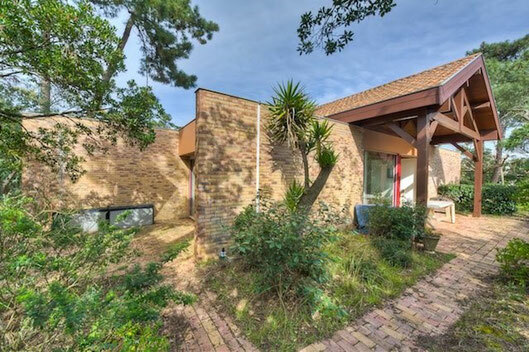 Situated on a hill, most of the property is invisible from the street. The five meters difference may not sound like a lot, but it protects us from the noise of the somewhat quiet street. It also let's the sea breeze cool us in the summer. In winter, of course the west wing gets the strong winds, but the rest of the house sees the sun much earlier. My father had the house designed by Mme. Gonfreville, a well-known architect of the “Ecole de Bordeaux” a (minor) school of architectural thought which focus on the integration between the building and its surrounding nature. 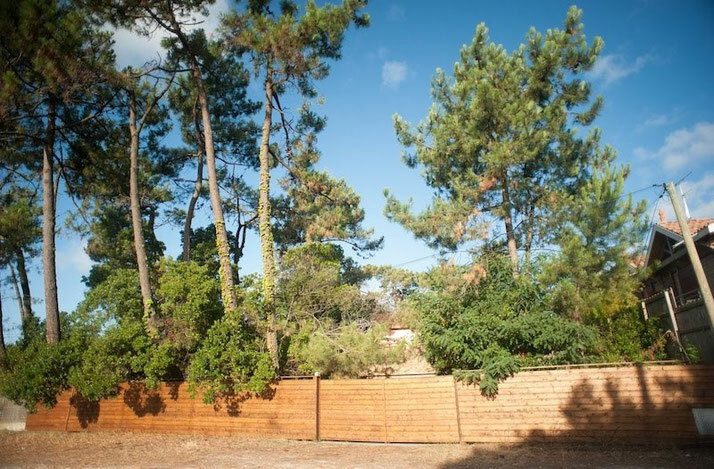 Since Mme Gonfreville also had a house on the Cap Ferret, she knew best about the climate and the local vegetation. She integrated the house in the vegetation, while fighting with the construction company to keep as many trees as possible around the house. My father wanted to be able to give big receptions, both inside and outside the house, welcome his two children with their own families and nevertheless have a very quiet, southing place to live. Very unusual for Cap Ferret, he also insisted on a year-round house, where it is still pleasant to stay during the not so pleasant winter months. This unique villa is comprised of 3 fully furnished, independent, uniquely decorated apartments/houses with private access to garden or terrace, including a common laundry-room and games/ cinema room for our young guests to chill out in case of bad weather. Although the apartments are close together they are disposed in such a way that each family can enjoy its privacy. If so inclined, or may also enjoy the opportunity to meet the other families. Should you wish to spend your vacation with friends and larger family, the villa Concorde offers the possibility of reserving more than one, if not all three units.